Chris Mortenson, new chef of La Condesa in St. Helena. Courtesy of Kristen Loken. The BottleRock 2013 band lineup is all the buzz in Napa, but who will be among the many vintners and restaurants participating? Passport to Dry Creek Valley. Courtesy of wdcv.com. Wine and Chocolate Fantasy at Rodney Strong, February 9th. Courtesy of rodneystrong.com. The big buzz in Napa Valley is the upcoming ~BOTTLEROCK NAPA VALLEY MUSIC FESTIVAL~ (May 9-12th). Slated to pull A-list acts including The Black Keys, The Shins, Ben Harper, Alabama Shakes, Primus, Dwight Yoakam, The Wallflowers, Charlie Musselwhite, Rodrigo y Gabriela, Cake, Bad Religion, The Flaming Lips, Blues Traveler, and the Zac Brown Band (phew! ), festivalgoers are eagerly awaiting a final list of musicians slated for release today. What food and wine folks are eagerly awaiting, however, is news on the “dozens of Napa Valley chefs and restaurateurs,” 60 vintner partners, and artisan microbrewers who’ll be participating in the four-day festival. No word exactly who’s being tapped, but expect some big culinary names. Three stages will be set up among the 26-acre Napa Valley Expo grounds, with music, comedy, and food during the day and evening VIP after-parties at valley restaurants, galleries, and tasting rooms. “Locals tickets” go on sale Sunday February 3rd, starting at $249. More details online. 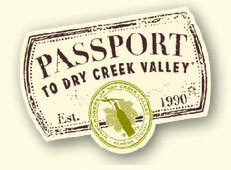 Another North Bay event likely to sell out quickly this spring: ~PASSPORT TO DRY CREEK VALLEY~. Sales opened at 10am today for the April 27th and 28th showcase featuring 50 Sonoma wineries, music, and top-notch nibbles throughout the weekend. Tickets are $70 for one day, $120 for both days. Details about participating wineries and tickets available online. Chef shuffles: ~CAMPO FINA’S~ opening co-executive chef Jamil Peden has departed from the critically acclaimed Healdsburg restaurant. 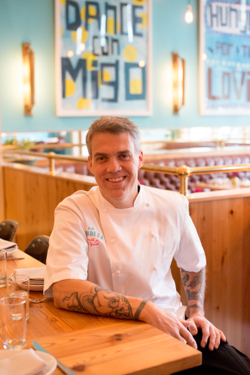 Owner and co-exec chef Ari Rosen remains. No word yet on who’ll be replacing Peden. In St. Helena, Chris Mortenson takes over the kitchen of ~LA CONDESA~, bringing a more casual and locally-inspired approach to the menu. Prominent Sonoma chefs including Rosso Pizzeria’s John Franchetti, Three Squares’ Josh Silvers, Kendall-Jackson’s Justin Wangler, Press Democrat columnist Michele Anna Jordan, and John Toulze of the girl & the fig are slated to don their toques for charity at Third Thursday, a series a series of dinners benefitting ~WORTH OUR WEIGHT~. The program puts chefs in the kitchen with youth apprentice cooks and begins Thursday February 21st with Liza Hinman of Spinster Sisters and Franco Dunn of Franco’s One World Sausage. $55 per person, call 707-544-1200 for reservations. Get your sweetie in the mood for amore, or at least a little snuggling, at the 24th annual Wine and Chocolate Fantasy at ~RODNEY STRONG VINEYARDS~ on Saturday February 9th from 1 to 4pm. 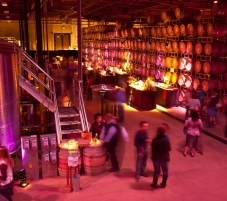 Wander through the mood-lit barrel cellar nibbling dark chocolate truffles, cupcakes, small bites from local chefs and sipping some of the Healdsburg winemaker’s best pours. $65 per person, tickets and info online or 707-431-1533. Michelin-starred chef Brandon Sharp of ~SOLBAR~ is featuring a limited-engagement Asian menu (just in time for Chinese New Year) through March 31, featuring crispy Dungeness crab Rangoon with sweet chile-lime sauce, steamed buns with Chiang Mai pork sausage, Korean-style short ribs, and “Lucky Pig” slow-roasted pork with black sesame crêpes. 755 Silverado Trail, Calistoga, 707-226-0850.